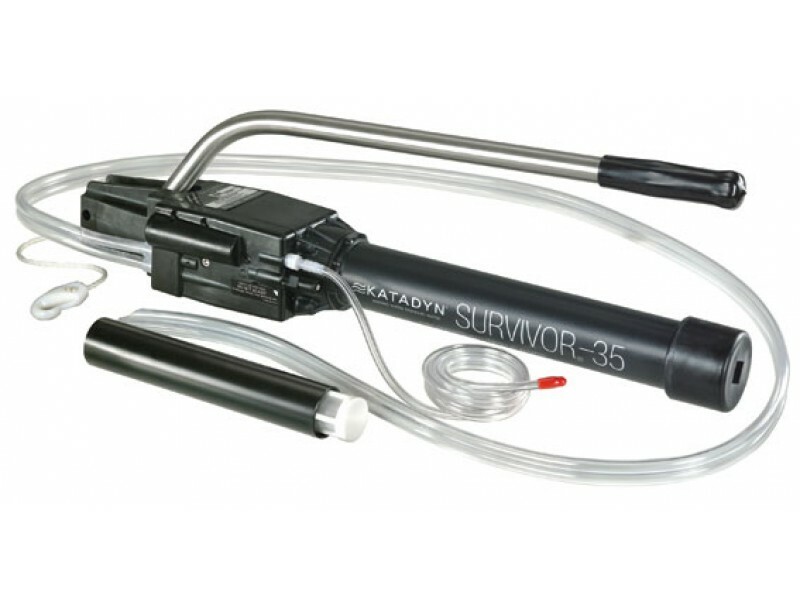 Buy Katadyn Survivor 35 - Hand-Operated Desalinator , from for $2,195.00 only in My e-commerce. 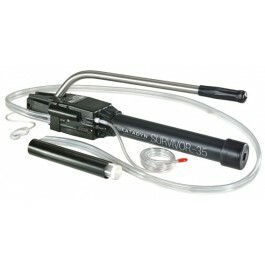 • Hand-operated desalinator for up to 20 people. • Optimum pump frequency: 30 pumps per minute. • Approved by the U.S. Coast Guard and used by militaries worldwide. • Prescribed equipment for “Around-Alone“ sailing regatta. Survivor 35 - Hand-operated desalinator The Katadyn Survivor 35 - Hand-Operated Desalinator is most widely-used emergency salt water desalinator. Produces up to 4.5 litres of fresh drinking water per hour. 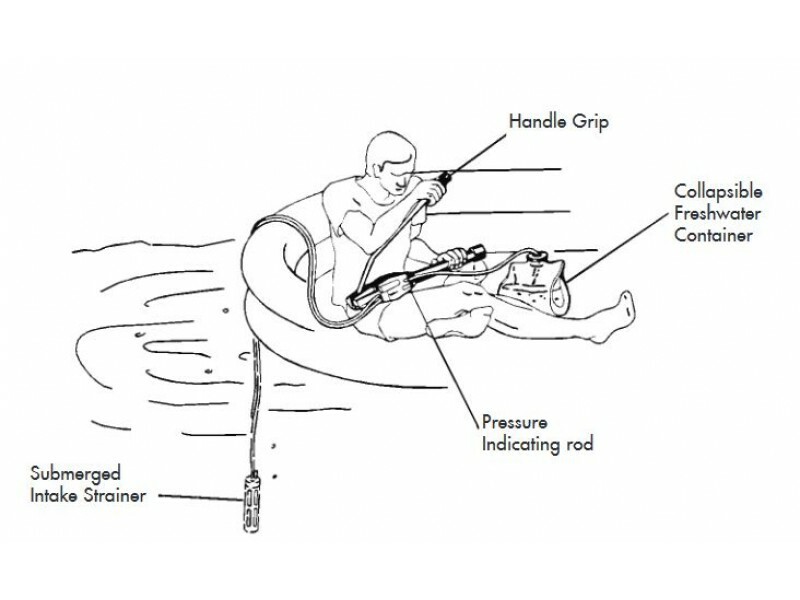 Produces enough fresh water for multiple person liferafts. Widely used by US and international military forces, US Coast Guard, life rafts, voyagers, sea kayakers, and other adventurers. 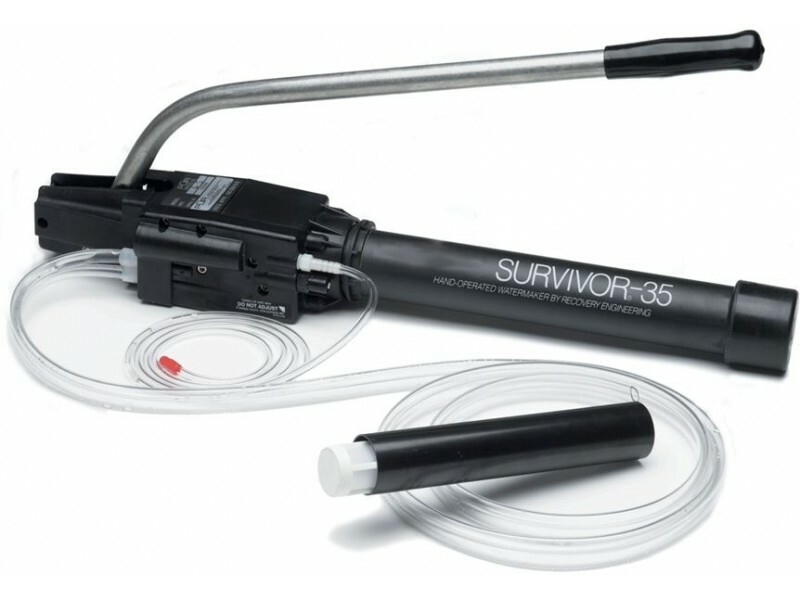 The Katadyn Survivor 35 - Hand-Operated Desalinator uses reverse osmosis, which supplies water free of virtually all salt (average salt removal is 98.4 percent) and contaminants -- including most bacteria, giardia, and even viruses. Each unit is tested before it leaves the factory, and is constructed of corrosion-resistant materials. • Dimensions: 5.5" x 22" x 3.5"